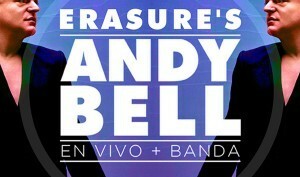 Erasure frontman Andy Bell will be heading to South America in August to play a run of solo shows. Shows have been booked in the Dominican Republic, Puerto Rico, Chile, Argentina, Uruguay, Peru and Mexico, with the chance for one or two extra shows to be added. 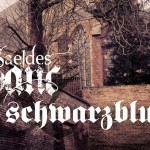 Bell’s first solo album “Electric Blue” was released in October 2005 via Sanctuary Records. The album featured fourteen tracks, including three duets, with Claudia Brücken of Propaganda and Jake Shears of Scissor Sisters. Bell’s second solo album, “Non-Stop”, was released in June 2010. Using the pseudonym Mimó, Bell also released two Pascal Gabriel-produced singles on Mute Records: “Running Out” (2009) and “Will You Be There?” (2010) prior to his second solo album. The name was not used on any subsequent solo releases, as a legal block was issued against Bell by another artist already using the Mimó name. Both songs appeared on Non-Stop and have since been re-branded as Andy Bell.